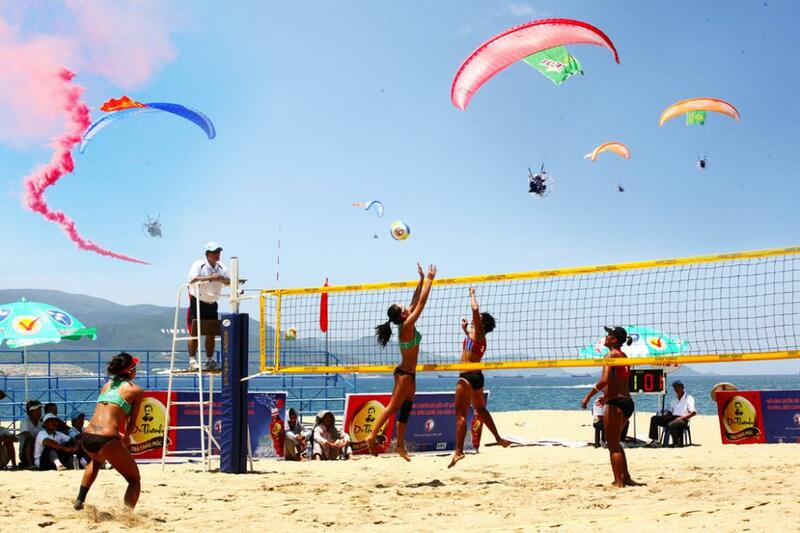 HA NOI (VNS) — The beach volleyball season will begin on Thursday with the national championships Tour 1 in Phu Yen Province. Tour 2 will be organised in Hai Phong in September, while the final round is scheduled in Khanh Hoa Province in December. Meanwhile, the national athletes will have a busy calendar with six international competitions this year. The women's team will compete at the Tuan Chau-Hai Long Women's Beach Volleyball Open next month. The next tournaments for both men and women are the Asian Beach Volleyball Beach Tour in Thailand in April, the 17th Asian Games in South Korea in September, the fourth Asian Beach Games in Thailand in November and the Asian Championships in China, also in November. The young athletes will test their skills at the qualifying round of the China Youth Olympics from April 2-6 in Thailand. The Viet Nam Volleyball Federation has recently been supported with VND1 billion (US$47,600) by the PetroVietnam Low Pressure Gas Distribution Joint Stock Company.